Commerce and Industry Minister Nirmala Sitharaman has raised the issue with the visiting Canadian officials who have assured of certain steps to ease the movement of professionals. 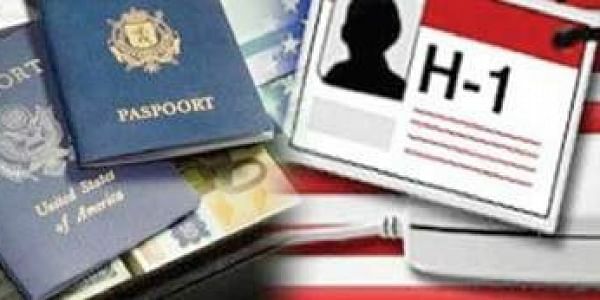 NEW DELHI: India has raised concerns over the changes made by Canada in its Temporary Foreign Workers Programme, making it difficult for domestic companies to send employees to their Canadian units on short-term visas, impacting services trade. The issue was discussed here yesterday at a meeting between Canadian Minister of International Trade François- Philippe Champagne and Sitharaman. "She discussed the importance of the ease of movement for intra-company transfers on short term visa for filling in certain crucial and specialised activities," the Commerce Ministry said in a statement today. Citing certain examples, the Indian side stated that few companies here which have made investments in Canada are finding it difficult to source key employees from India as intra-company transferees. The Canadian Minister "assured" that a number of steps have been taken to facilitate the ease of movement for professionals into the North American country, said the statement. François-Philippe informed that under the Global Skill Strategy Programme, visa applications for high skilled technicians, professors and researchers will be disposed of within two weeks' time. Similarly, for professionals visiting for less than a year, a fast track process is being set up which will be similar to a concierge service, the statement said, adding that this will be extended on a priority basis to companies which have invested in Canada. Both the ministers also agreed to expedite the conclusion of bilateral investment promotion and protection agreement and Comprehensive Economic Partnership Agreement (CEPA). The two countries are negotiating CEPA, under which duties will be eliminated or significantly reduced on goods besides relaxing norms for services trade and promote investments since November 2010. The Canadian minister emphasised on the need for Foreign Investment and Promotion and Protection Agreement (FIPA) which will provide the required predictability and protection to investments, the statement said.